Screen printing is probably the most versatile of all printing processes. Common products that can be screen printed are T-Shirts or on just about any garment, posters, labels, decals and signage. It can also be used to print on a wide variety of materials, including paper, paperboard, plastics, glass, metals, and fabrics. We also have great prices on embroidered shirts and hats for that special touch! If you're looking for high quality and personal service, you've come to the right place! At Cloud Printing & Promotions well give you the attention and personal service you'll come to expect and enjoy. Cloud Printing & Promotions is located in Nicholasville since 2009 and have over 30 years of printing experience. We offer the best in screen printed apparel. 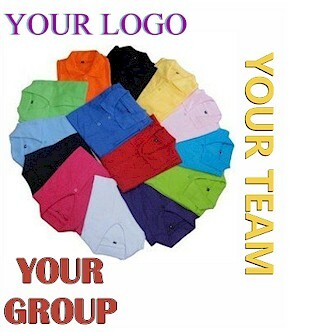 Call for a quote on quality garments which are affordably printed for your group or event.